It's an unusual occasion in the Nintendo Download this week: this week's games are all brand new for Europe, with not a single catch-up title for North America. Virtual Console receives its first-ever wrestling title and there's cricket, babies, noodles, monsters and celestial bodies too. Let's get to it. 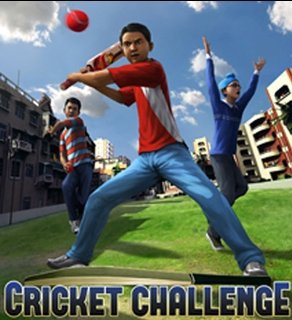 Cricket Challenge (GameShastra, 500pts) – Only the second incarnation of cricket to hit Wii after Ashes Cricket 2009, this is a more arcade take on the sport, based in an urban environment rather than the usual English country surroundings. We'll take on the challenge and see if it hits us for six. My Little Baby (dtp Entertainment, 600pts) – A conversion of the DS original, this game offers all the excitement of having a kid: changing, feeding, clothing and playtime, as well as teaching it to crawl and walk. 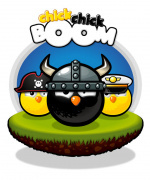 chick chick BOOM (tons of bits) – A simple, addictive one- to four-player battle game about chicks blowing each other up for no apparent reason, you can read why we thought it was such a blast in our chick chick BOOM review. ColorZ (Exkee) – An unusual and average puzzler, you can read our ColorZ review alongside the demo. Pucca Noodle Rush (Big Ben Interactive, 500pts) – Following Pucca's Kisses Game on WiiWare is Pucca Noodle Rush on DSiWare, in which the tiny titular character must serve customers at her uncle's noodle bar. It sounds like a Pucca-themed version of Diner Dash, which could be a tasty mix. We'll chow down and give you our culinary musings soon. Puzzle to Go Planets and Universe (Tivola, 500pts) – Yet another entry in the Puzzle to Go series, all the previous entries have been very much the same so don't expect anything out of the ordinary here. We'll review it and give you a verdict soon. Faceez: Monsters! (Neko Entertainment, 200pts) – A follow-up to silly photo manipulator Faceez, this one has the advantage of being based on monsters. We'll dare to look under the bed for the courage to bring you a review. Natsume Championship Wrestling (Super Nintendo, 900pts) – Another Super NES import, this is actually the first wrestling game on Virtual Console, quite an achievement considering the service has been going for four years now. After a few grapples and body slams we'll finish celebrating and start working on a review. Get the lowdown on the latest WiiWare, Virtual Console and Nintendo DSiWare available for download this Friday! This week on WiiWare, cricket fans will be able to practice their cover drives, hook shots and slog sweeps from the comfort of their own home as Cricket Challenge* is released just in time for the Cricket World Cup. This street version of cricket will see you play as a batsman using your Wii Remote to plunder run after run. Do you fancy yourself as a centurion? Whatever you do, don’t get bowled out! My Little Baby takes things a slower pace. Starting off with a new born baby, you are charged with looking after every aspect of your little bundle of joy’s life. Feed, change and even teach your baby how to walk as you help it grow into a toddler that will make you proud. If you want something a bit more adventurous, then set forth in your spaceship on a mission to clean up virus-infested planets in the fast-paced space adventure WiiWare demo, ColorZ**. Or pit your team of five chicks against an opposing team of fluffy foe in the demo of chick chick BOOM**. Throw pianos, pink elephants and Sumo chicks or summon slimy giant jellyfish and real UFOs to defend against your opponent's attacks. On Nintendo DSiWare this week the popular manga character, Pucca, returns in Pucca Noodle Rush. Help Pucca as she struggles to keep the customers at her uncle’s restaurant happy. Another favorite returns with Faceez: Monsters! which takes all the fun of Faceez and adds a monstrous new element. Take pictures of your friends and turn your chums into ghouls and other terrifying creatures. Once you are happy with your creations, you can share the pictures with friends on Facebook. Available on Virtual Console this week is the rough and tough Natsume Championship WrestlingTM. Available for the first time in Europe, choose from 12 grapplers and battle your way to becoming the king of the ring. Why the capital on the Z on ColorZ? "Virtual Console receives its first-ever wrestling title"
That Monster thing on Neo-Geo actually is a Wrestling game as well, relying heavily on grapples and throws and the likes. And wasn't the Chick-Chick-Boom demo supposed to be released today? One of the creators had just informed us a few hours ago. /me thanks the lord above that My Little Baby came out in EU first. Huh. Not worth even staying awake until 11pm to download them demo tonight. I'm intrigued by the Virtual console game "Natsume Championship Wrestling". Watching the video, it has pretty decent music, but I might be dissapointed with it if it doesn't have much replayability. Speaking of unlicensed wrestling games there's also "Tecmo World Wrestling" and "Saturday Night Slam Masters" that are yet to hit the service. I hope we get to play them again. This week may be very average but at least bit. trip flux is out next wee. Nice, a ColorZ demo. I was always curious about this game. Hope it's any good. Nothing for me concerning new content. The demo's on the other hand. I liked the concept of ColorZ, but the controls didn't do it for me. chick chick BOOM I really like, but I'm afraid for the lack of single player content and the lack of a level like system or campaign. But the achievements could go a long way. Virtual babies? Well that takes out the fun of trying to make one. Anyway, I'll definitely be trying the chick chick Boom demo. Hopefully I like it. Actually, Japan has a few of the Fire Pro Wrestling games, so this is really the first wrestling game on VC outside of Japan. I was hoping for KOF '96. i guess that's still far off into the future. Just to point out that while this is the first wrestling game to be released on the PAL/NA VC service, Japan has already had a wrestling game with one of the early Super Famicom Fire Pro games getting an early release. No Cricket Challenge in my shop. Saving my points for next weeks very special WiiWare release.